There will be a lot of local deliveries: From San Diego to San Diego and from Los Angeles to Los Angeles. I don't understand what are you asking? If Maxest's project will become part of Promods, I already made M0xM4 interchange. You can hope for release this year, but not sure for summer. I am 2:5, but because I am mapping almost only big cities. I recommend at least 1:4 or 1:5. 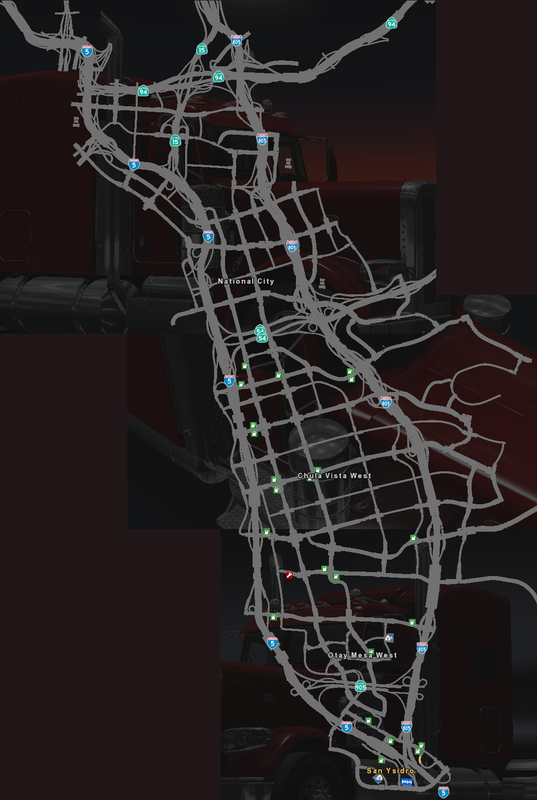 Re: So are you going to make an ATS map? I think that the new is new screenshots. That makes me wonder: why ISN'T there a Bosnia? The whole region around it is mapped, including a hidden road that leads straight into the country. Is there some controversy around it? Do mappers just don't want to work on it?